UK investment bank Barclays will clear its JPY swaps trades through the Japan Securities Clearing Corporation (JSCC) after being granted authorisation to operate as a client clearer in November, The TRADE understands. The move means that Barclays’ European and Asian client base have access to the largest liquidity pool for JPY interest rate swaps. Barclays is one of three international clearers now authorised on JSCC, alongside Morgan Stanley and Citi. Speaking to The TRADE, Bradley Fraser, head of agency derivatives services (ADS) clearing for Asia Pacific at Barclays, said that the decision to join JSCC is part of the bank’s strategy to invest in its clearing business and the Asia Pacific region. Morgan Stanley and Citi currently use their branches in Tokyo to clear, but Barclays said it uses its London entity in order to onboard clients more efficiently. The bank also has a global netting agreement (GNA) in place to cross exposures for clients across different products under one agreement. In the US, the Commodity Futures Trading Commission (CFTC) is revaluating its rules on equivalence meaning clients based in the US could also soon gain access to JSCC. 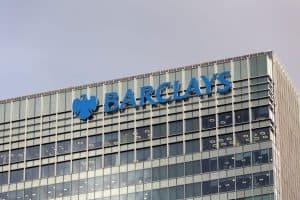 Barclays added it is keeping a watchful eye on this development as it could prove to be an opportunity to extend clearing support to its US clients.